Two years ago we got offered to work on a campaign with one of our favourite brands, thanks to Sally at Tots100. I had been a huge fan of GoPro since I first saw their videos/photography and was really excited to be involved with creating a family video to promote their GoPro Hero 3+. 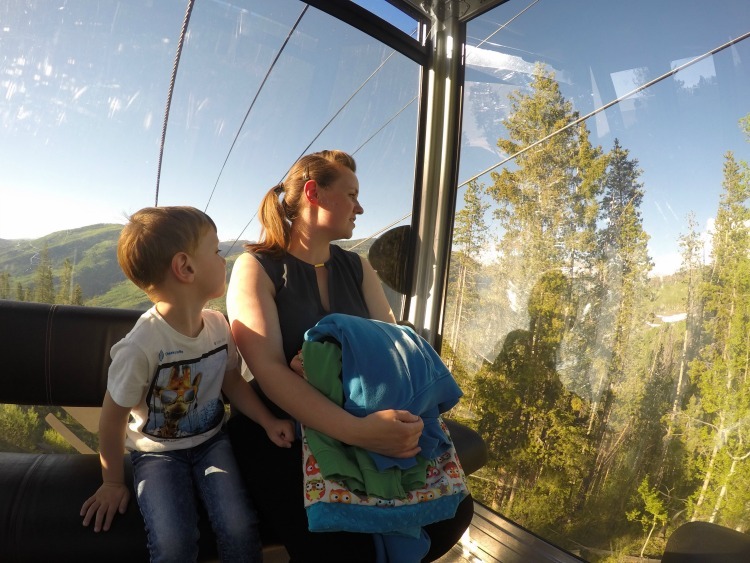 We were instructed to complete a series of challenges, edit them into a video and submit it for the chance to win a dream holiday in Vail, Colorado. We were up against strong competition, the videos produced were fantastic and full of family adventures. So we were incredibly shocked when our video was chosen to win the competition. 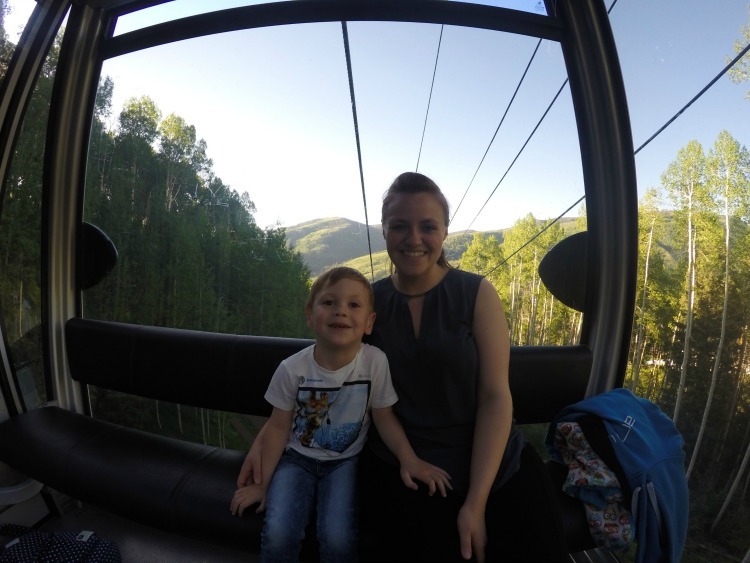 We were due to head out to Vail, Colorado last year but unfortunately the GoPro Mountain Games clashed with Clara’s GCSE Maths exam. 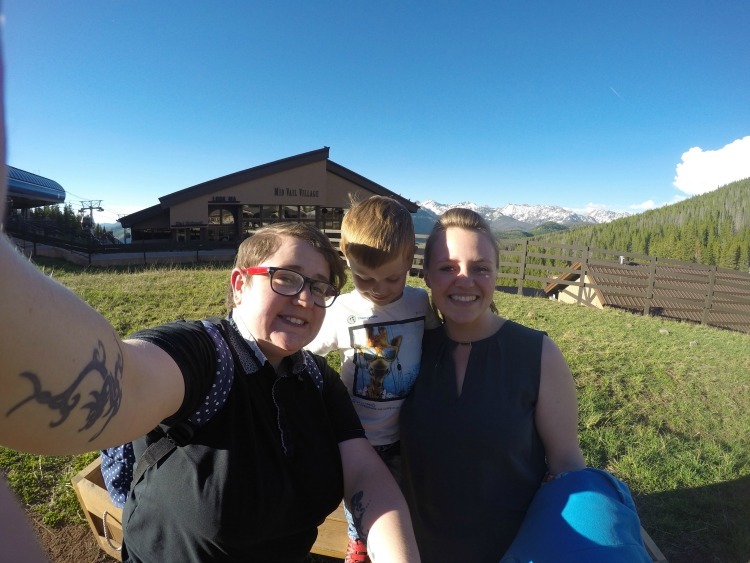 So plans were put in place over the last year and on the 10th June 2016 we got on a plane at Heathrow to start our journey to a dream holiday in Vail. Neither Clara or I had been to America before so we really had no idea what to expect. After a two hour car journey (thanks to my folks), two flights and another 2 hour shuttle from the airport in Denver, we checked into the 4 star Lodge at Vail hotel. We were already over the moon to be experiencing something we had never imagined to experience, but were even more amazed to see a brand new GoPro Hero 4 Silver and a GoPro Session sitting on the bed with a welcome note. 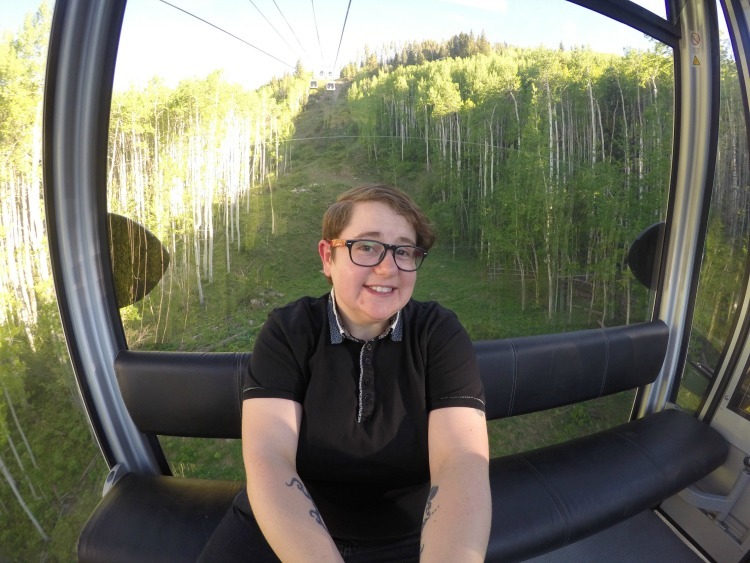 After a quick shower we jumped on a mountain gondola to join the GoPro family at the top of a mountain for some drinks and dinner. As we’d already been up for 24 hours by that point we skipped out on dinner with a very tired boy, but enjoyed some delicious room service back at the hotel. 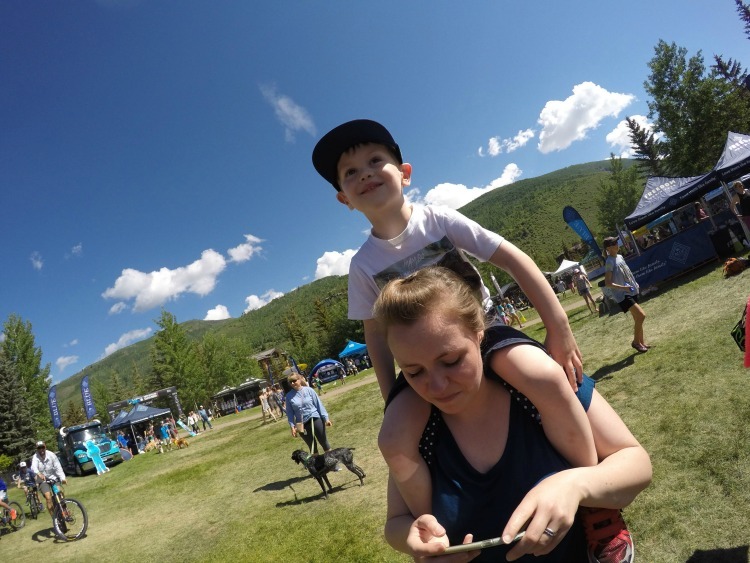 I’ll be writing about the GoPro Mountain Games more specifically in a separate post, but I just wanted to share our general experience we enjoyed whilst away. On the second day I enjoyed a really informative session on getting the most out of your GoPro and learned lots of new tips and tricks for shooting the best story I can. We then had time to explore the village and take in all the beautiful surroundings. Our little man was loving every moment as we were treated so well by everyone we met. Lunch was amazing, which I will be covering in a post all about the food we enjoyed whilst away and we were amazed to be gifted even more fantastic GoPro products to get to grips with. I was having to pinch myself every hour just to check that we really were experiencing some of the best moments of our lives. 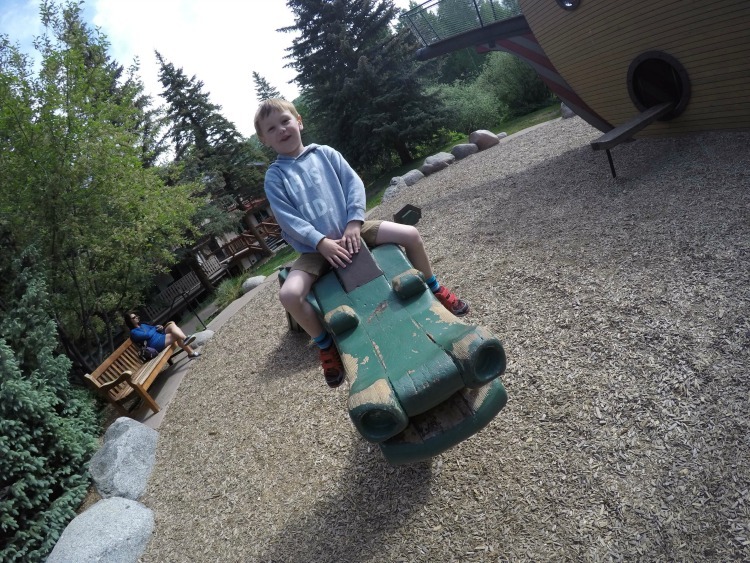 Sunday was the final day of the GoPro Mountain Games which meant we got a full day to explore the village once it was over. The village looked totally different once it was free of people, dogs and amazing athletes. 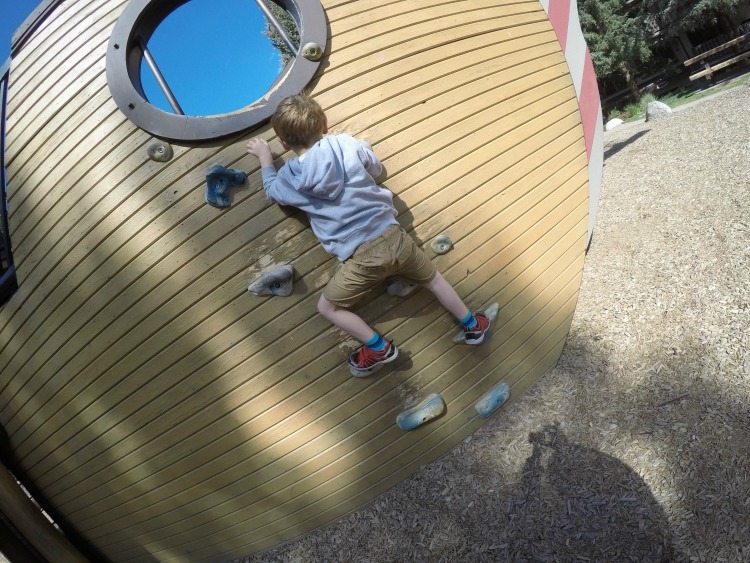 I even got to pick up three geocaches with my little man which I was quite impressed with. It was soon time to pack up our cases and start the long journey home, full of amazing memories and ideas for content we want to produce with our new cameras. I feel so inspired by our dream holiday and am incredibly thankful for the opportunity to visit a country I have always wanted to visit. I now have the mammoth task of editing several vlogs and trying not to overshare all the photos I took whilst we were there. 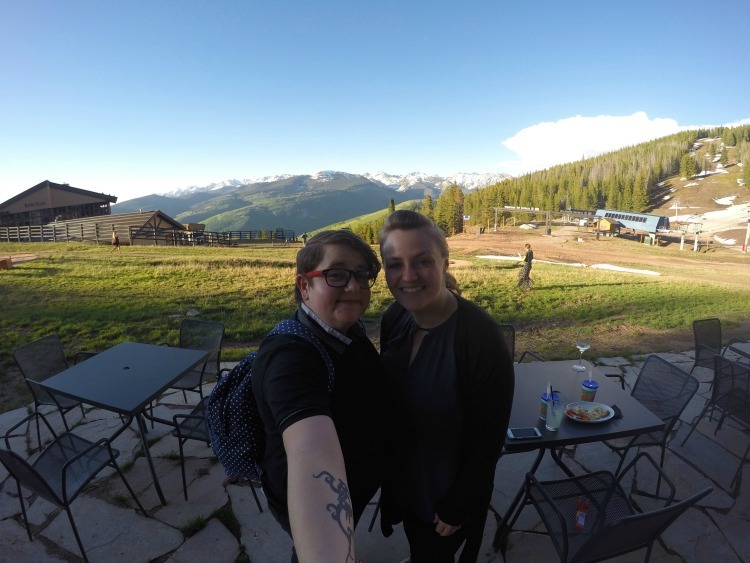 Huge thanks to the GoPro team for looking after us during our trip and Trine, our contact who arranged the finer details before we went away. It really was something special. Oh my goodness, what an opportunity and I can’t think of anyone more worthy. It was your first Go Pro videos that made me buy one, I’ve still not really go to grips with mine and now you are going to be showing me even more clever things! Such beautiful scenery there, no wonder you had to pinch yourselves. Looking forward to hearing more.